I really do believe that everything you own for your home should have a story. 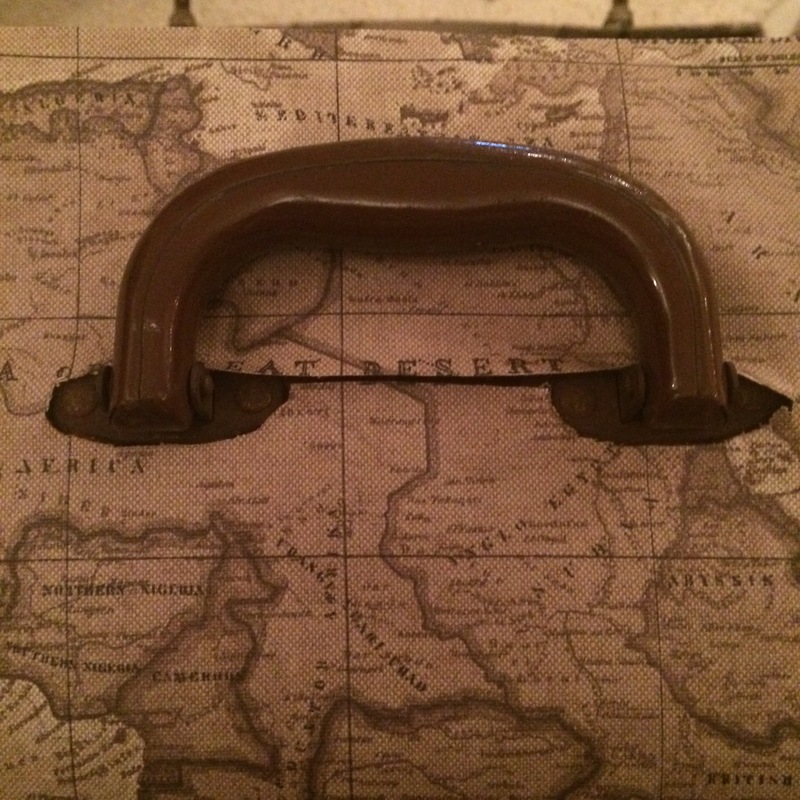 Accessories you’ve collected on your travels, furniture you’ve inherited from grandparents, pieces from junk shops you’ve spent weekends scouring for or things you’ve rescued from skips. Add these to things you have bought just because you love them and your home will really reflect your personality. Some things will forever be beautiful in their original state, but most of these things will need updating to reflect your own style. Revamping, repurposing and upcycling with paints, fabric, even a few power tools to totally transform them. 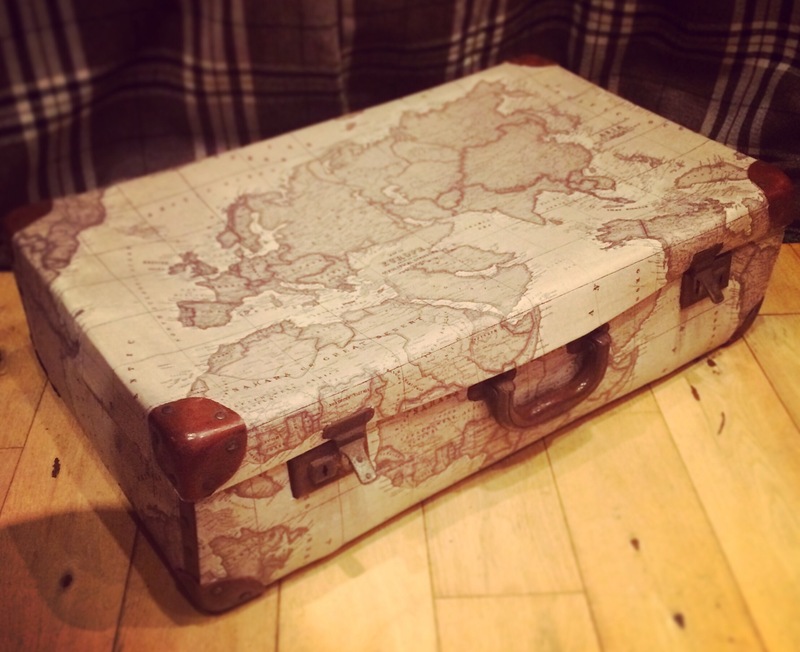 This suitcase is one of my favourite upcycles, after asking my dad if he had any old suitcases I could revamp (I knew he would, he’s a much bigger hoarder than me!) he came up with this vintage beauty. It was very battered and in need of tlc but that’s what I was after. 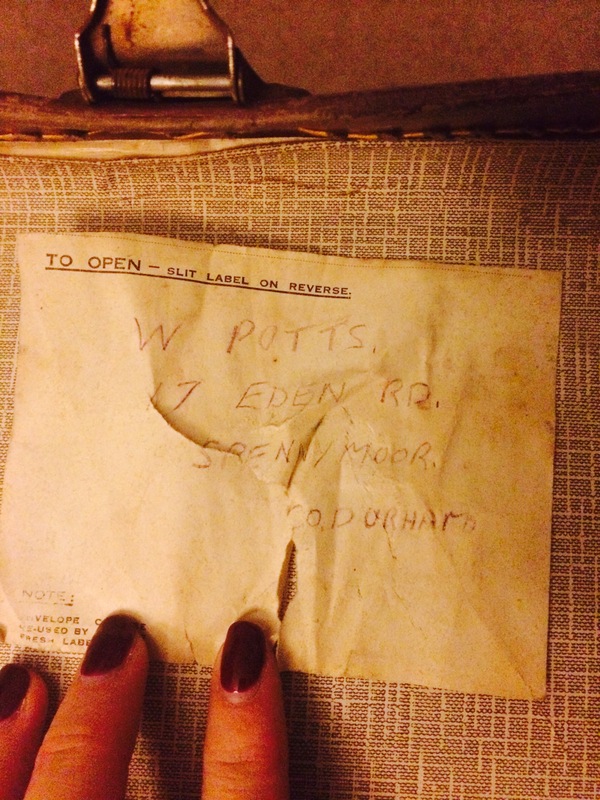 On closer inspection it had a name label in the inside. It has once belonged to my Great Uncle Billy. He was once a Grenadier Guard and a travelling salesman so I’m pretty sure this suitcase has been on a few travels with him. 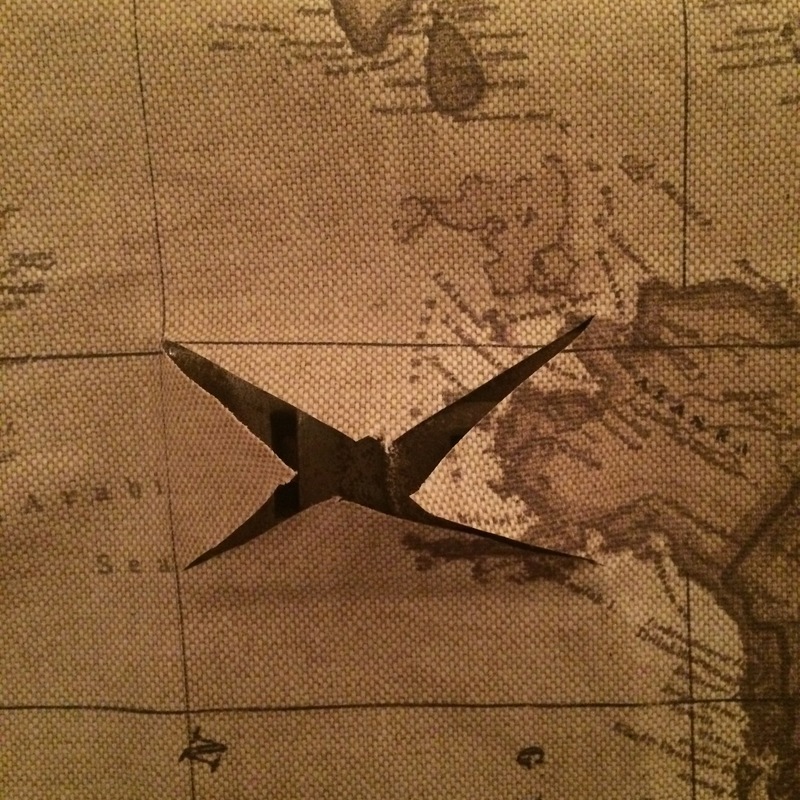 It seemed only fitting to use some sort of map fabric or paper on it to represent its original use, rather than its new intended use as a hat and scarf store in my hallway! I found this fabric from John Lewis, I think around £18 per metre. I needed about 1.5m for this, although I do have a fair bit of remnants left for other jobs from around the edges. I started with the top, treating it a bit like wrapping paper and wallpaper. I measured out the size to cover the top, covered the suitcase with pva glue, I did this in two halves to keep the fabric in place while sticking each half down. 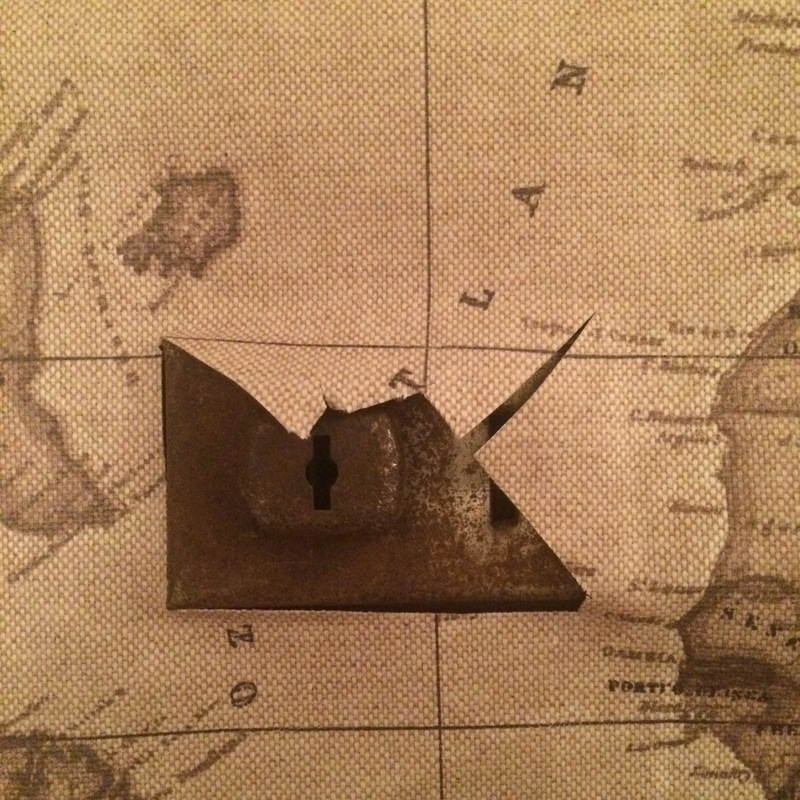 The corners weren’t budging so I cut around them after scoring the edges with my fingernail – caveman tools. When it came to the locks, hinges and the handle, I looked at this the same way you would wallpaper around switches. These tricky bits were much easier than I thought they be. 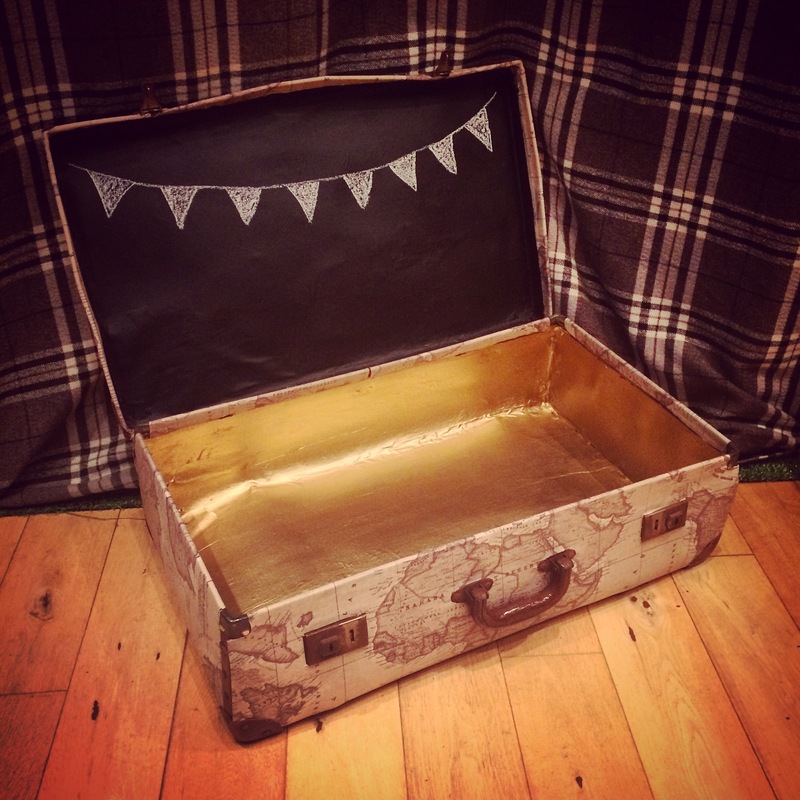 I was going to use the suitcase for signage for an event so I gave the inside a quick facelift with gold metallic paint and chalkboard paint, intending to recover with fabric at some point but I actually quite like it so it might just stay like this now, it reminds me of a treasure chest when you open it. I’m really happy with this one and although I’ve had so many offers from people wanting to buy it, this one isn’t for sale. 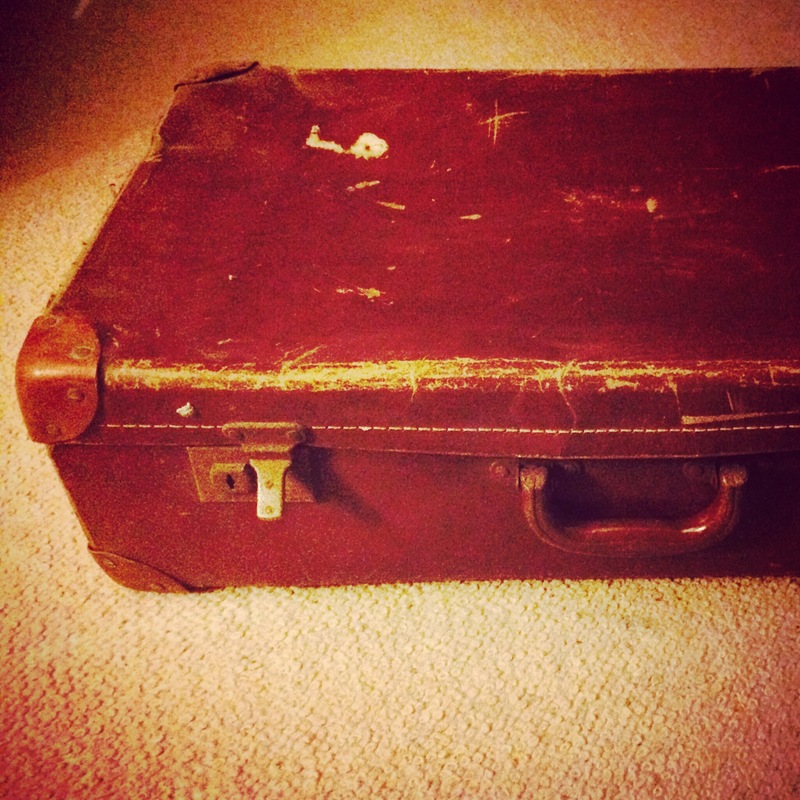 Keeping Uncle Billy’s suitcase in the family. I just hope he would have liked it. This is great. 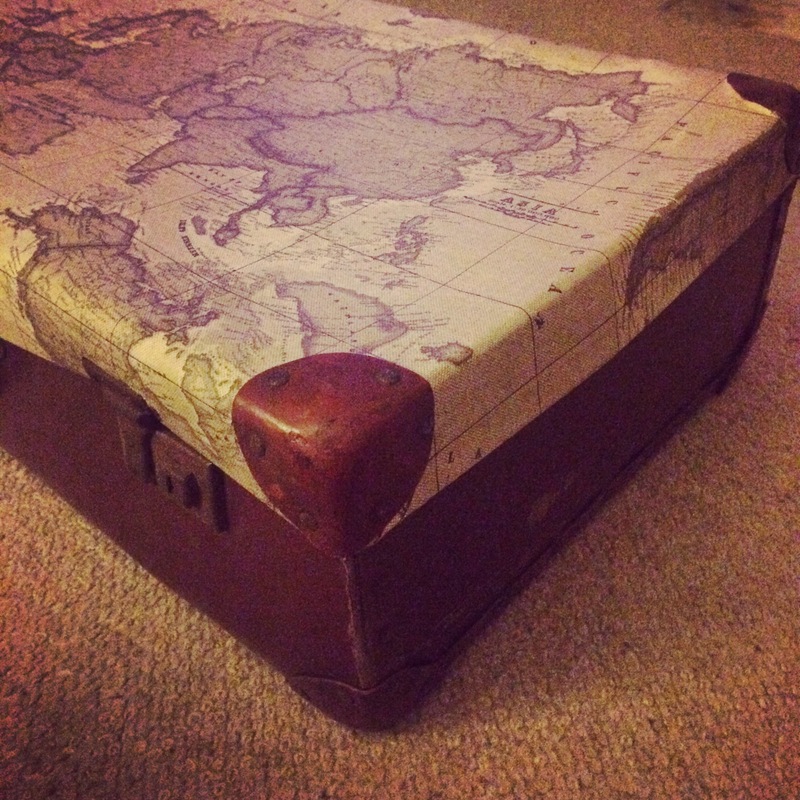 I’ve got quite a few vintage suitcases I picked up so I’ll be defiantly trying this out! What a lovely post, and a really sweet idea.